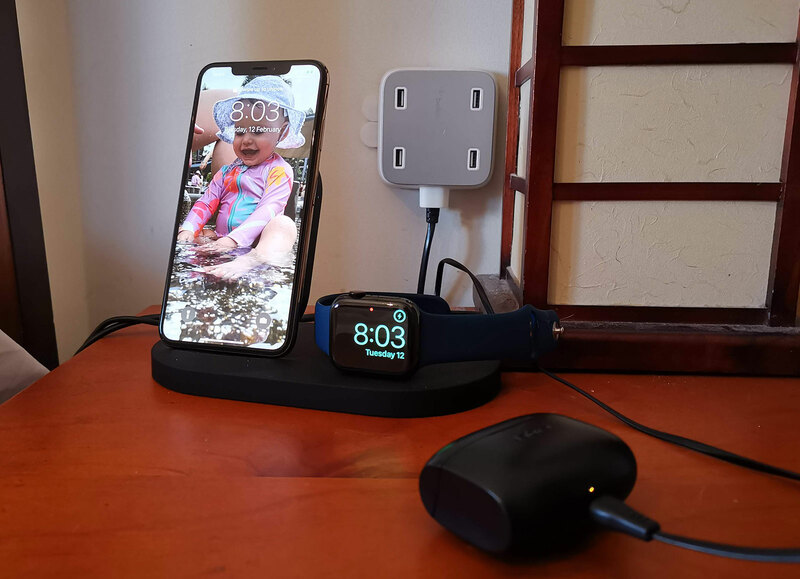 If you have an iPhone and an Apple Watch in your life, you’re probably taking up a couple of USB ports to charge both, but the Belkin Boost Up Wireless Charger does both with the one gadget. It’s that easy. There’s no shortage of wireless chargers today, but most are designed for one thing and one thing only: your phone. Your wearable still probably needs its USB charger, and that’s kind of a pain. In fact, regardless of the type of wearable you’ve integrated in your life, this is probably true, and you’ll be left looking for a USB port. But Apple Watch owners can find a different solution, with a wireless charger made to handle both the prerequisite iPhone and the Apple Watch. 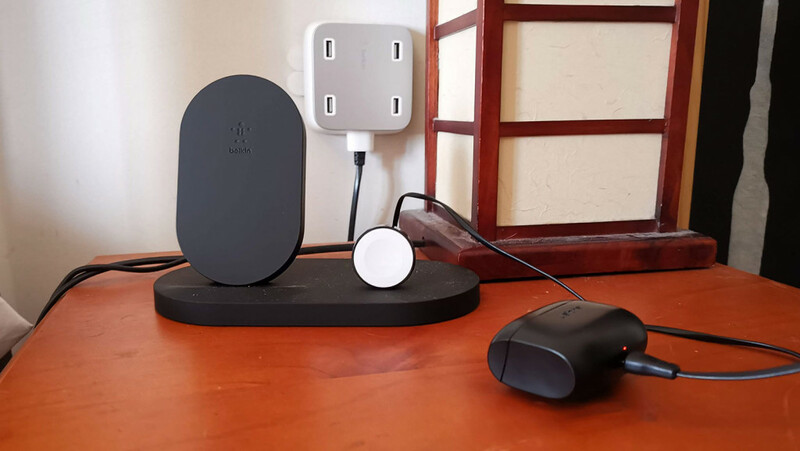 Should the Belkin Boost Up Wireless charging dock be on your desk or bedside table? 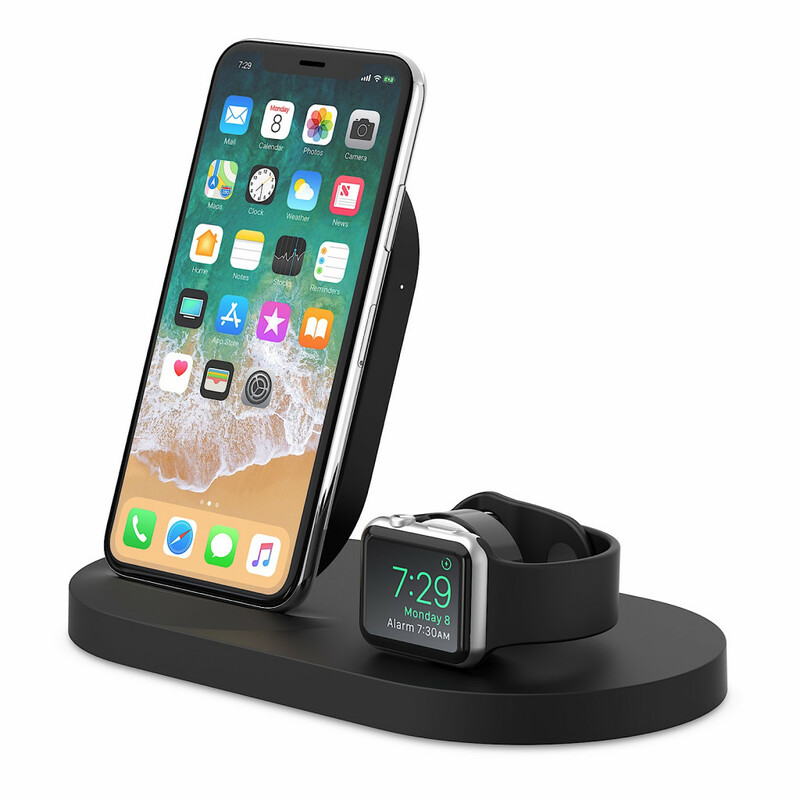 Belkin’s latest take on its “Valet” product, the Boost Up Wireless Charging Dock is one part Apple Watch charger, one part wireless phone charger, supporting the Qi wireless charging standard at 7.5W and helping to speed up the charge of a modern iPhone. The dock is fairly simple in design, offering a minimalist experience that sits a stand at an angle next to a watch stand, both of which sit on a plastic block. There’s a wireless charger built into the phone side, and there’s also an Apple Watch charger on the right. Unsurprisingly, Belkin’s Boost Up Wireless Charging Dock is built primarily to do two things: charge your iPhone and Apple Watch. You will need an iPhone from 2018 and beyond for this to work, as they’re the only iPhone models with wireless charging. That means you should be able to use an iPhone 8, iPhone 8 Plus, iPhone X, iPhone XR, iPhone XS, and iPhone XS Max, and then of course any Apple Watch. Every Apple Watch features the same wireless charger, so old or new, an Apple Watch is compatible. Belkin has also included a USB port out the back, allowing you to charge something else off a 5W port, like a pair of wireless earphones and such. Apple’s AirPods are an example, because while they won’t wirelessly charge (at least yet), they will charge from a five watt USB Lightning cable. Does it do the job? 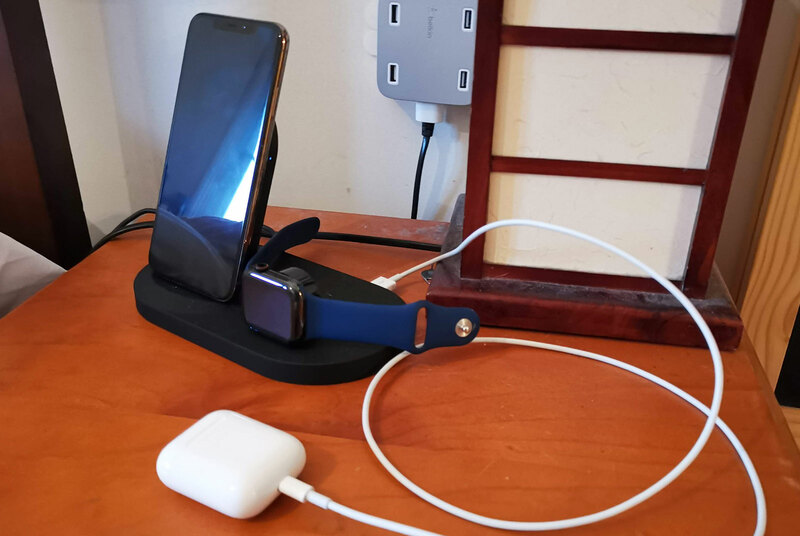 If you’re looking for a charger that handles both iPhone and Apple Watch, the Belkin Boost Up Wireless Charging Dock is definitely it, and allows you to store that Apple Watch charger your wearable cane with as spare. That’s what these things normally are, and you have to wire your Apple Watch charger into them, so the fact that the Belkin Boost Up Wireless Charging Dock includes the Apple Watch charger is a nice touch. It’s not Belkin’s first attempt at this, mind you, and it can be found in the Valet Charge Dock, a variation on the theme that includes the Apple Lightning port and integrated Apple Watch charger in a small dock. Still, this one is wireless, which means you can take it off the charge even easier. You can even charge most other wirelessly charged phones on the Belkin Boost Up Wireless Charging Dock, but you can’t charge any other wearable out there. Sadly, that little section is for charging the Apple Watch and only the Apple Watch, so you can give up your dreams of charging any other wearables. That’s not exactly helped by the fact that no other wearable can agree on a charging standard and so they all have different charging docks, so you can’t exactly blame Belkin if you’re not able to charge a Galaxy Gear or Fitbit Versa on this desk-side charge stand. Fortunately you can plug those chargers into the USB port at the back and still charge other devices, even if you can’t replace the Apple Watch charger in the process. However, the one thing we’d have liked would have been more power in that USB port. Five watts is great for headphones and wearables, but not enough if you want to plug in an iPad or another tablet. It’s a real shame, because if this had more power, Belkin’s wireless Boost Up would be damn near perfect for Apple owners. Right now, it’s just close. It’s also a tad expensive, with Belkin’s combo charger fetching a recommended retail price of $249.95. When you consider that a wireless charger carries a cost of around $30 to $50, you’re essentially paying a good $200 more for something that charges both phone and watch. That’s not necessarily a bad thing, just something to be aware of. 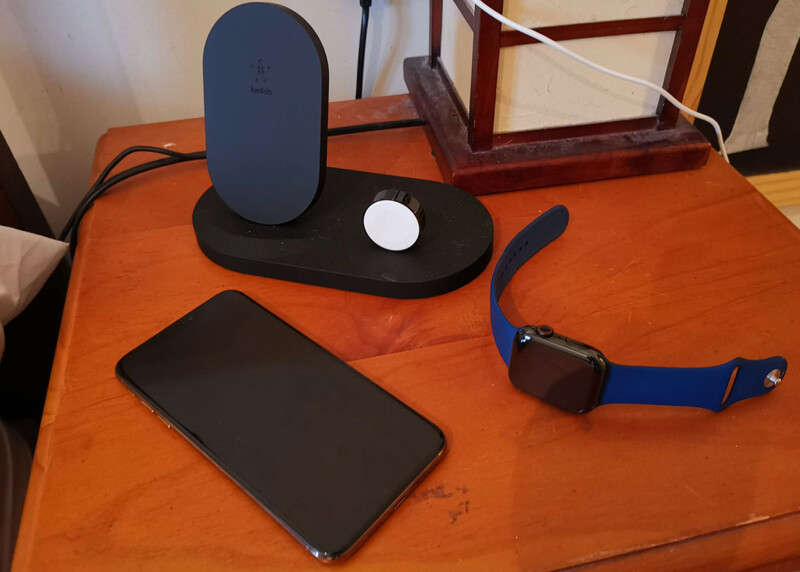 If you live in an Apple world and love your recent iPhone, Apple Watch, and maybe have another Apple device to charge along the side — say a pair of Beats headphones or Apple AirPods — almost everything about the Belkin Boost Up Wireless Charging Dock makes sense. It’s that simple. In fact, it makes so much sense, it might just clean up your bedside or desk with the one gadget. This is one gadget that’s made for the modern iPhone & Watch owner. If that’s you, this is an easy buy. Highly recommended.